Ah yes, saving for your first home. How much should you save? How much down? How much can you afford? This can ba a tough question to answer, particularly because what may have been the correct answer 15 or 20 years ago, isn’t the correct answer today. Most of us know the standard down payment for a house is 20%, but for many people that will take years to reach. With a medium sale price of $221,000 in the U.S., twenty percent is $44,000. That’s quite a chunk of change for young people. So most opt for a lower down payment of only 5 – 10% with an extra monthly insurance payment. But even 5% of $221,000 is a lot of money for most at $11,000. Not to mention that most people end up paying an average closing cost of 3.5% which adds on another $7,735. So with a minimum savings of over $18,000, it’s probably going to take you a while to save up for that fancy new pad. And surely just leaving that money in a savings account is worthless right? There’s got to be somewhere better to put that money than the bank. Well, the most honest answer is, it depends. However, for most people there is one simple answer. But before I tell you, let me ask you a question. When Do You Want To Buy Your Home? The first question you need to answer is when are you planning to buy your house. Maybe it’s 6 months, maybe 1 year, maybe 3 years. Whatever it is, come up with an estimated time of when you would like to buy. Next follow this super simple flow chart. 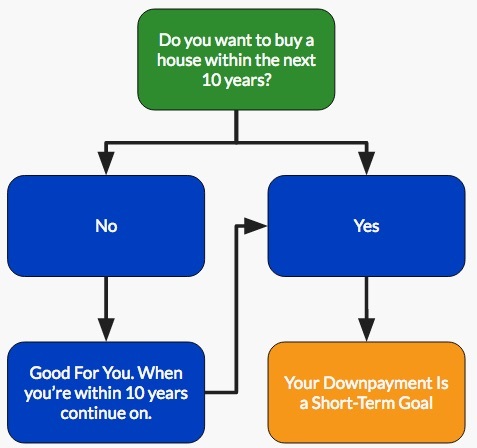 Unless you’re very young and saving extremely early, or you will be moving around a lot over the next 10 years and don’t plan to buy for the foreseeable future, your down payment will be a short-term savings goal. This is an important distinction to make because there is a very big difference between saving for the short term and saving for the long term (like retirement). Okay, so we’ve determined that for you, this is probably a short-term savings goal. Get that straight. The stock market is for long term investments. If you invest money into the stock market and plan to need that money in just a few years, you’re taking a huge gamble. And the shorter and shorter your timeline is, the riskier and riskier it is to invest that money in the stock market. If you take an investment in the S&P 500 for 5 year periods over time, you will notice a huge difference in expected return from one period to the next. 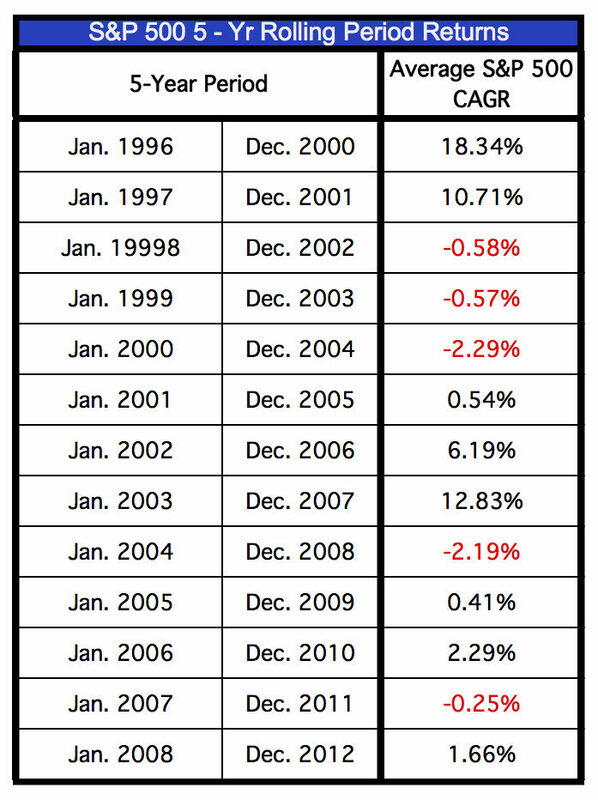 For instance from Jan. 2008 – Dec. 2012, the S&P had an annual return 1.66% (before inflation). But if you had invested just one year earlier for 5 years from Jan. 2007 – Dec. 2011, your annual return would have been -0.25%. Or even one year earlier again from Jan. 2006 – Dec. 2010 and your average annual return would have been 2.29%. Check out the table below to see the average annual return for some of the most recent 5 year periods. The problem you might notice is that the stock market is extremely unpredictable from year to year or even from 5 years to 5 years. 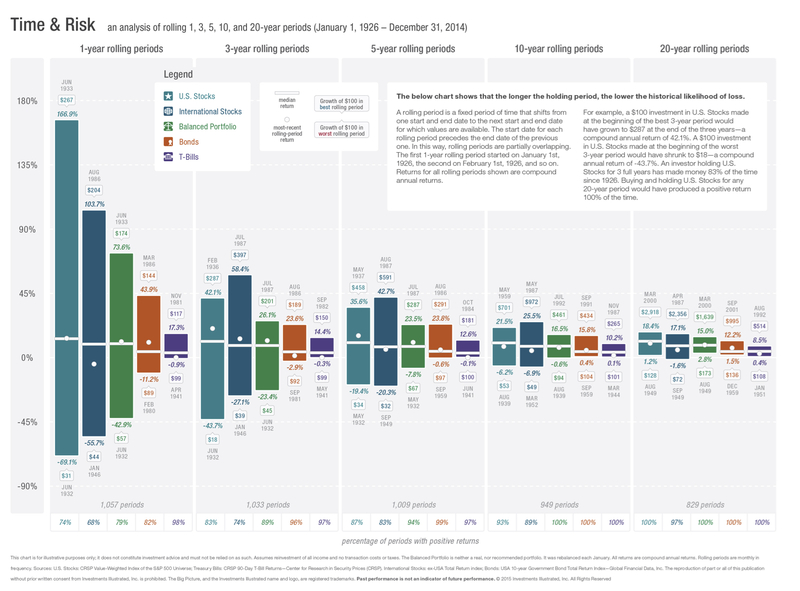 You can also check out this chart (or click the image below) that shows the highest and lowest stock market returns since 1926 for one, three, five, ten, and 20 year periods. The highest return for a single year was 169%. <– Dang, you might be thinking that’s killer! But the lowest return for a single year was -69.1%. <– Yeah, over half your money, gone. For three year periods, the highest and lowest returns were 42.1% and -43.7% respectively. And while these shorter periods look bad, by the time you get to the twenty year periods, you can see that in the entire history of the U.S. stock market, no investor holding for 20 years has lost money. They at least come out positive 100% of the time after 20 years. This goes to further support the idea that you should only be investing in the stock market for the long-term, and not for short-term gains. Besides, even if you do make some money, it’s likely not very much and not worth the risk you would be taking on. Alright, so let’s look at an example that we’ll continue to refer back to throughout the rest of the article. So let’s say you want to buy a house in 1.5 years that costs the U.S. medium of $221,000. You know you won’t be able to save 20%. But in order to put 7% down and pay 3% in closing costs, you decide to save a modest 10%. That means you need to save $22,100 in just 1.5 years (18 months). That works out to be $1,228 per month. If you were to make an annual return of 7% (U.S. average over the long term) at the end of 18 months you would have $23,230 instead of your goal of $22,100. That means you would have made an extra $1,130. And that all sounds pretty sweet, but here’s the problem. The U.S. stock market almost never returns 7%. Most of the time its returns are much higher or much lower (sometimes negative) and over the long term it evens out to an average 7%. What’s more realistic would be to consider what would happen if you experienced an increase of 12% or a decrease of 6% annually for that 18 month period. If you took the same scenario but made 12% instead of 7%, after 18 months you would have $24,082 and gained an extra $1,982. But if you instead lost 6% annually, at the end of 18 months you would only have $21,185 and you would have lost $914. Oops… Looks like you won’t be buying that house in 1.5 years after all. On top of the return being unpredictable, you also have no idea when the next major bear market, or worse stock market crash, will occur. 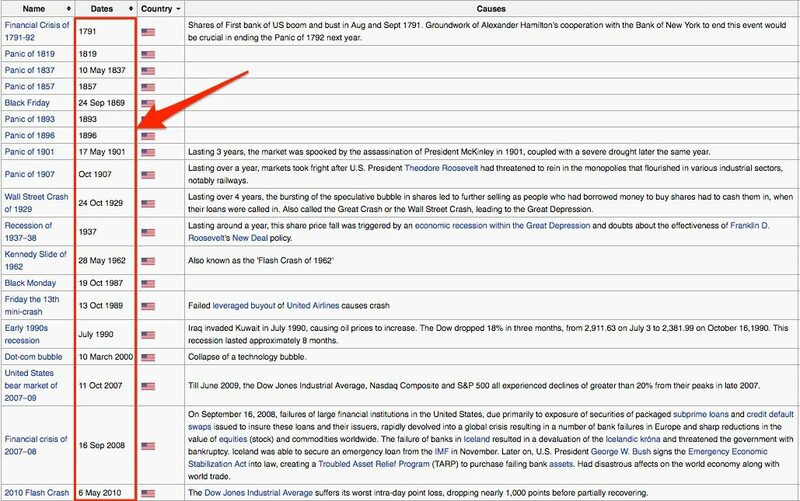 Here’s a list of the major stock market crashes in history. What do you notice? There’s no regular time interval between years. Sometimes over 20 years pass before another major downfall (1937 to 1962). But other times only two years pass (2008 – 2010). In 2008, the S&P 500 declined by 37%. And because of the major loss, it took most people a year or two for their investments returned back to the levels they were at in 2008. And that is the main reason right there that you shouldn’t put the savings for your home in the stock market. So let’s answer this last question. If you invest the savings for your home into the stock market and a crash occurs, can you wait for an extra 1 to 3 years before buying your new home? Will you be patient enough to wait that long? 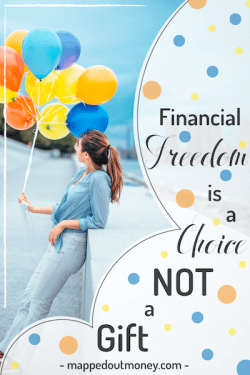 For most of us, we simply can’t fathom the idea of saving for 1.5 years only to lose a chunk of that money and then wait another two years before buying the house. And that’s why you shouldn’t invest in the stock market with your short-term savings. Yes, it would be awesome to make an extra one or two grand while saving for your home. But the stock market is an extremely risky place to be investing for only a few years, and odds are you wouldn’t make any money. You’re better off not using the stock market at all for these short-term savings. Well if you can’t use the stock market, what should you do? With short-term savings, you should instead invest in a high yield savings account. While this isn’t the sexiest or most exciting investment, it is the wisest. Savings accounts are FDIC insured, which means the federal government guarantees you won’t lose any money under $250,000. One top of that, most online savings accounts are offering 1% APR which is literally 20 times higher than the average annual interest paid by most brick and motor banks. You’re only going to be saving for a little while. So go with the guaranteed money. If you still save $1,228 per month for 18 months, you will have saved $22,100. But with a 1% APR, you will have earned an extra $157 on top of that. Again, while this may not seem like much, it’s better than nothing. 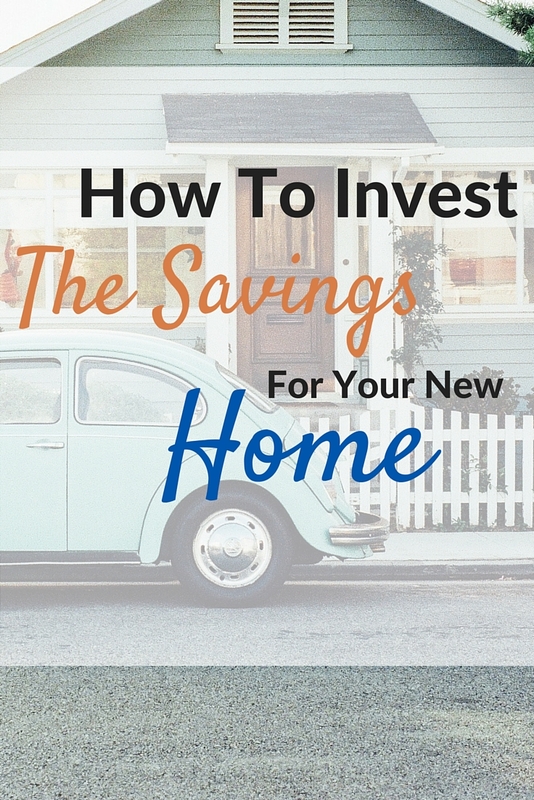 And remember, you’re not saving this money to make money, you’re saving this money to buy a home at the right time. And if you lose it in the stock market, you won’t be able to buy a home when you want to. The bottom line is that for all short-term savings, not just a home, you should be using an online savings account. So go online, set up your bank, and create an automatic withdrawal to be taken from your checking account every time you get paid. 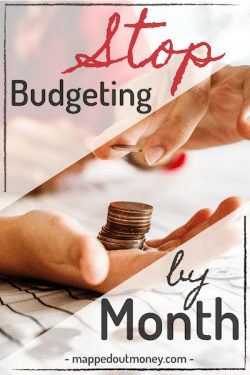 That way you’re not tempted to touch the money when you start running low on cash. You know that if you take from that account, it’s just that much longer you’re going to have to save before you can get your new home. It should be mentioned that one other alternative to the online savings account is to invest in bonds. While bonds are not going to provide as good of a return as stocks, they are also not as risky. However, they do carry more risk than a FDIC insured savings account. If you do decide to invest in bonds, be sure to do your research and only invest in something where you can easily access your money. If you want to go this route, you should consider total bond market mutual funds that provide a balanced bond exposure and mitigate the amount of risk you take on. The Vanguard Total Bond Market ETF would be a good choice and has recently returned between 0.7% and 3% over the past three years. Again, just make sure you understand that you run the risk of the bond market tanking, and losing a lot of money. Also, with bonds you’re only talking about a difference of 1% – 2% more than the online savings account at best. On the high end of 3% APR, that’s only an extra $475 versus the extra $157 from the savings account. So the question becomes, is the chance of an extra $300 worth the risk? If so, then by all means go for bonds. You still have a good chance of coming out ahead compared to investing in stocks. 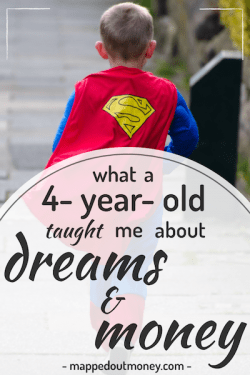 But the bottom line is, most of the time, especially if you’re planning for 1 – 2 years, bonds just aren’t worth the risk. Ultimately, though, that’s for you to decide. Back in the day using CDs may have made sense. But in today’s world, with CDs rates being as low as they are, this strategy doesn’t make much sense at all for short-term savings. Certificates of Deposit (CDs) are fixed investments with the bank. You agree to deposit a certain amount of money for a fixed amount of time, and then the bank agrees to pay you a certain percent of interest for using your money. This means that when you sign up for a 1 year CD, you can’t add money or withdraw money from that account for an entire year. Right now the highest rates for 1-year CDs float around 1.30%. And yes, while that is 0.3% higher than online savings accounts, it’s still not worth it. The problem with using CDs for down payment savings is that you can’t continually invest in the same CD. This means that each month you save $1,228 you will need to open up a brand new 1 year long CD at 1.30%. But because you need the money in 1.5 years, you’ll only be able to do this 6 times. After that, during months 7 – 18, you will need to use a regular savings account, otherwise, you wouldn’t be able to access the money when it’s time to buy your home. This process would have you open 1 savings account and 6 CDs just so you could earn 0.30% on 6 months of savings. So throw CDs into the same pile with stocks and bonds when it comes to the short-term, it’s just not worth your time. Saving for a home is a long road and isn’t going to happen overnight. 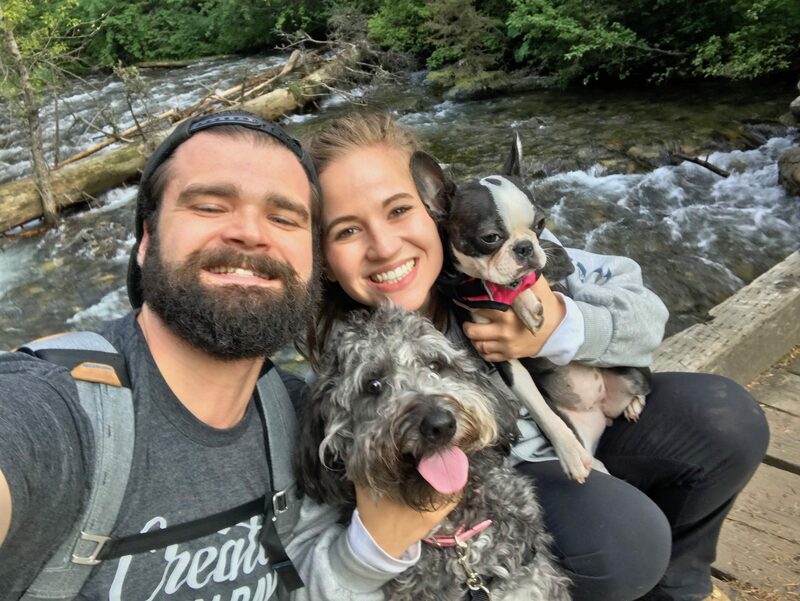 The best thing you can do is open up a high-yield savings account with an online bank and then set up an automatic withdrawal every single paycheck. 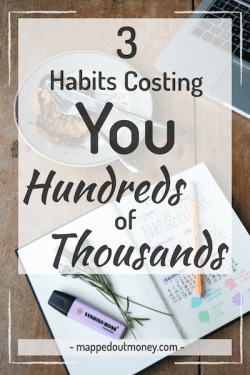 Train yourself to start saving and make it a habit. This will be more beneficial than any investment ever could. Let me know in the comments below what you plan to do for short-term goals. Where do you invest and what options have you found?